Getting ready for a baby can be overwhelming, to say the least. If you are a first time parent, you may be facing a long list of things for baby and wondering how you are going to fit it all in your house and afford it. The good news is, you really don’t need all that much for a baby. People will tell you that you need loads of gear and clothing, but in reality, babies are pretty simple to care for in the first few months. 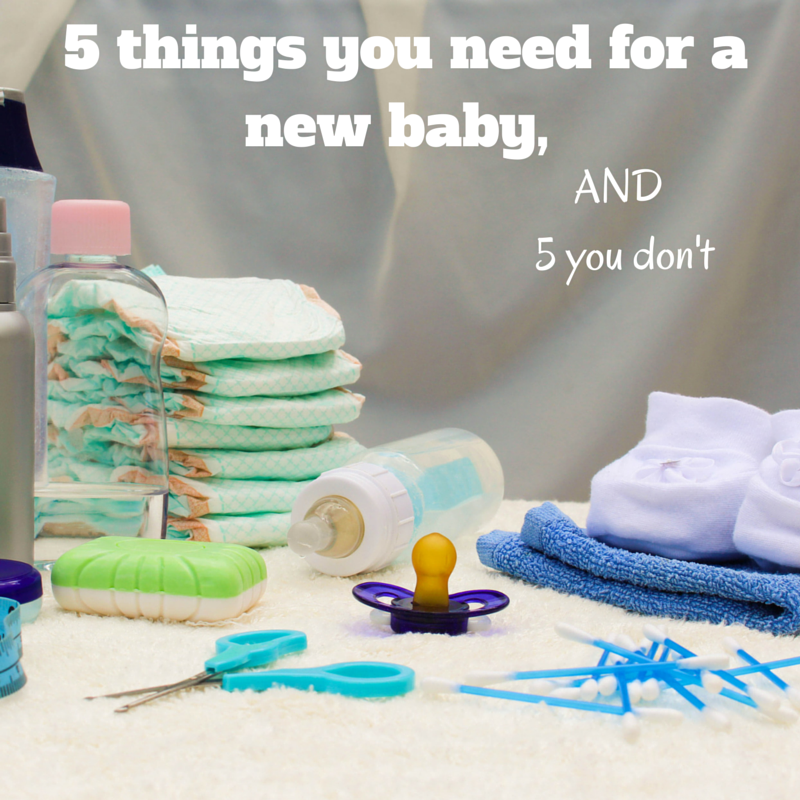 Let’s start with the things you absolutely do need for a baby. Diapers: it doesn’t matter whether you are choosing to cloth diaper or use disposables, the fact is you need diapers for a baby. While considering your options, weight in on your budget and lifestyle, and don’t forget the wipes! You will need those along with the diapers. A few outfits: You can get by with about 10 outfits for baby. Make some of them sleepers to keep baby warm at night. When they feel swaddled and secure, babies sleep better and are happier. A car seat: Baby needs to be safe in a car, so you will need a car seat. It’s illegal and unsafe not to have one, so make this one a priority. A few blankets: You will need to keep baby warm and secure, so grab a couple of swaddling blankets and a few larger ones. A place for baby to sleep– even if you co-sleep, you will need some place to put baby that is safe. A play pen, crib, bassinet, or swing will give you some safe, hands-free and baby-free time. These are things that you do NOT need for baby. They are a waste of money. Baby towels and rags: rags and towels specifically made for babies are a waste of money. Use your own towels and rags and save some money. Plus, they will dry baby off better than the thinner, smaller baby towels. A stroller: You do not need a stroller. You can carry baby or even use a baby wrap, but strollers are not a necessity. A changing table: A blanket laid on any flat surface will suffice as a place to change your baby. It is not important to have a specific place to change your baby. Baby Shoes: They look cute, but for the first few months of a babies life they don’t need shoes. They aren’t walking and most likely will just kick the shoes off. Save the money and buy them practical footwear once they are walking. Wipe warmer: they seem like a nice idea, but they really take too long to warm wipes and they can dry the wipes out. Skip this gadget and just keep the wipes in a room with a regulated temperature so they are not a shock to your child when you use them.